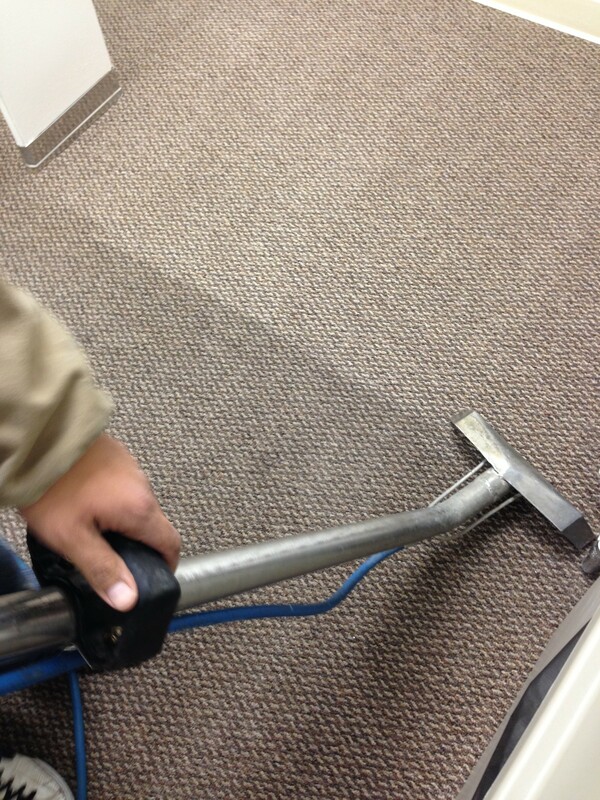 Beyer Carpet Cleaning only uses the steam cleaning method to get carpets clean. This method of steam cleaning with 210 degree water allows carpet cleaners to kill all germs and bacteria living and growing in your carpet. It also allows us steam out all the chemicals, products, stains, dust, and allergens from your carpet. When a carpet cleaner cleans your carpet they should leave your carpets soaking wet taking days to dry. Our steam cleaning process only leaves your carpets damp and takes just a few hours to dry once we leave. Steam cleaning carpets only takes a few hours to complete. Once our carpet cleaning technician arrives he will walk through the home with you and view all your areas that need cleaning. He will discuss what your options are in order to provide the best cleaning for your money. Then he will run hoses through the home to steam clean the carpets. The steam is very hot so our technicians have to be careful on how they handle their equipment. With each stroke of our wand we remove up to 95% of whatever is living in your carpet. Our pre-treatment spray that is a mixture of emulsifier, enzymes, and deodorizer. When our carpet cleaning tech sprays this on the carpet it uplifts everything that is living in the surface of the carpets and brings it to the top. This way when our wand goes over the carpet it will capture as much as possible. Beyer Carpet Cleaning is committed to providing the best caret cleaning in San Antonio. Carpet cleaners in San Antonio have various methods but when it comes to steam cleaning be sure they are using truck mounted equipment and are steaming at a high degree. If you want the best steam cleaning for the best price call Beyer Carpet Cleaning.